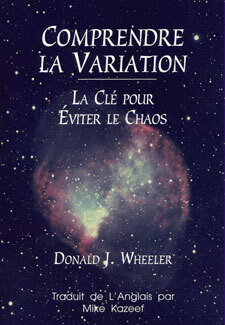 This is a French translation of the Second Edition of Dr. Wheeler’s popular book for managers, Understanding Variation. Dr. Wheeler is the internationally recognized expert on Data Analysis and SPC. that knowledge and experience to others.